PBEM and Single Player Balance Mod v1.27: rework of the item reward system, Engineers, Mind Control and more(Community)v1.27 brings two very impactful changes to the game: item rewards when you clear sites are now more tightly linked to item rarity and Floating units no longer have Cave Crawling. These changes may seem minor on paper, but they have big consequences in game! Besides, this new update of the balance mod boosts Engineers, starts to deal with mind-controlled Regrowth units and continues to improve user experience with better descriptions and bug fixing. PBEM and Single Player Balance Mod v1.26: True Resurrect and bug fixing(Community)As the balance mod matures after 2.5 years of development, this new update took some time to focus on bug fixing and improving user experience by correcting 29 incorrect or imprecise descriptions from the official version. It also refined the changes to True Resurrect brought by v1.25. v1.26 thus consolidates the role of the balance mod as an essential addition to AoW3 for all single and PBEM players seeking a better user experience and more balance. Interview of Hiliadan - 3rd of the 2017 PBEM Duel Tournament(Community)Interested in getting some insights into the strategies of some of the best players of AoW3? Want to know what they think are the best combos and units? This is the first of a series of 3 interviews with the players who qualified for the final phase of the 2017 PBEM Duel Tournament. This article present the third of this 32 players tournament. Hiliadan is currently ranked #3 with 1150 points on the Battlefield. He is far below Jean de Metz (1260) and gabthegab (1368), the two players who got to the finale of the Tournament and who are also ranked #2 and #3 of the general ranking, meaning he has a 35% and 22% chance of beating them respectively (based on the Elo formula used in the ranking system). 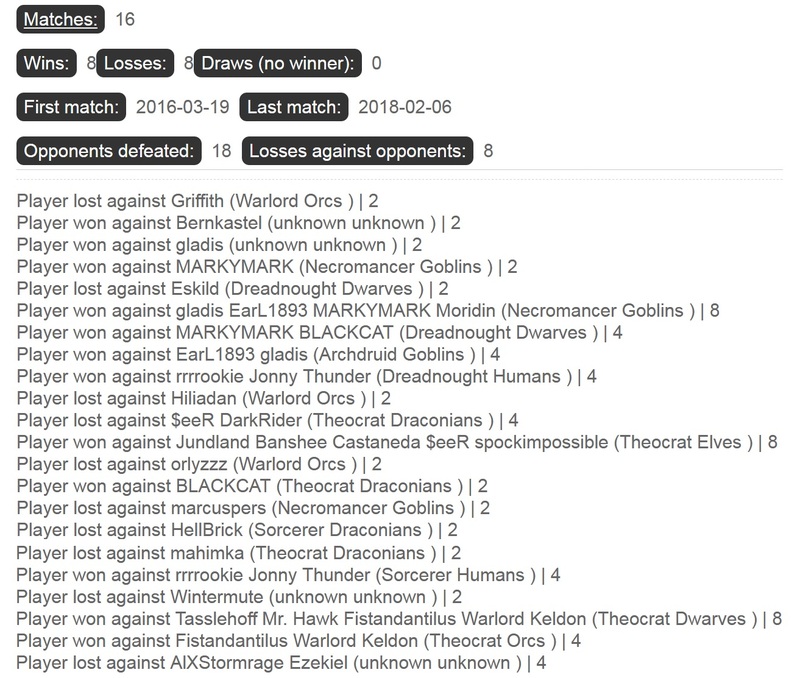 Hiliadan is only slightly ahead of a 4 other players with more than 1100 ranking points: Tussel, AlXStormrage, Marcuspers and Ezekiel, and he is actually ranked below them in the PBEM ranking. Due to its current ranking, he is considered a Master of AoW3 (top 10% of Veteran players), like gab and Jean. Despite the 2nd lowest win ratio (64%) of the top 7, he has defeated all but Jean, gab and Tussel (which he never met in duel) in 1vs1. He got defeated by gabthegab in semi-final of the 2017 PBEM Duel Tournament, trying a desperate strategy of clearing all the map in search for a strong secret spell to beat gab, as his videos of the match explain. In the 2016 PBEM 2vs2 Tournament, he played with rickyroo and got defeated by rrrrookie and Jonny Thunder in an epic match, also available in videos. Hiliadan published videos of all his matches in the loser bracket of the 2vs2 and Duel Tournaments, you can find them on his YouTube channel and on the AoW3 video library (except for the most recent ones), where videos are also classified by site, so that you can easily learn site clearing techniques. 1/ First a little background on your IRL (if it’s not secret! ): where are you from and how old are you? Hiliadan: I’m from France like gabthegab! I lived in China for 3 years between 2015 and 2018 (and sometimes the access to AoW3’s servers from there was slow! and now I live in Paris. I’m 29 years old. 2/ When did you start playing AoW and AoW3? Hiliadan: The first time I saw an AoW title was when I was in Junior High School and I went to a friend’s house and saw him playing AoW2. I think he was playing the campaign and was fighting Karissa. The visuals just totally charmed me, I loved the fantasy atmosphere which lets you really enter a different world and feel like you were a real Wizard! A few weeks passed and then I managed to get a copy of AoW2 and I totally loved it. I had played some Heroes of Might and Magic around the same time but didn’t like it much. Later, when AoW:SM came out, I also played it. I loved to play Mab, I just loved her and loved Goblins (Karagh!!!! ), I played a map where you faced Serena, Tempest, Nekron and Yaka many many times, loved that map, I think it had a name with "Mountain" in it, and there were very good cities in the middle of the map UG. I tried the campaign but failed because the 1st mission was very hard. Much later, I started playing AoW2 again and just beat the campaign relatively easily, I guess I had improved. AoW2 is really part of a few games I really loved (together with Baldur’s Gate 2 for instance). When I heard AoW3 was in the making, I followed that closely and I pre-ordered it. I also bought all the DLC at launch. I was not disappointed! I feel like AoW2’s atmosphere was more captivating but I really enjoy AoW3 a lot and that’s the only game I’ve been playing, basically daily, since its launch. I met the guys at Triumph recently when I was in the Netherlands and they’re really cool and love what they do, and you can feel that in AoW. 3/ Do you usually play AoW3 in single player, PBEM or multiplayer? Hiliadan: I stopped playing single player a while ago and have been playing only PBEM since then, for close to 3 years now. Live MP would be nice but it’s too time-intensive as you need to be online for a long time in a row (though in theory you can save and start again later) and that’s not really compatible with my lifestyle. The AI is not good enough for single player to remain interesting but PBEM makes it possible to face real challenge vs humans while keeping a good deal of flexibility. I hope at some stage Triumph manages to add "tactical battle PBEM" in future games. 4/ How did you choose your combos during the tournament? Hiliadan: I made a list of all the interesting race choices for each class (in this tournament you can play a given race or class only once until you have played all classes, then the counter resets and you can replay everything again). Then I tried to see how I could choose the best race/class combinations: for instance Draconians can be quite good Rogue (backstabbing Flyer and Fast Healing good for a class without healing), Necro (Fire protection, mana) and Sorcerer. In the end, I went for Draconian Sorcerer as I considered other races could do a better job for the 2 other classes. You can hear the reasoning behind all my class/race choices in my videos. I also considered what my opponents could play, and that was especially true in the later rounds, starting on round 6 vs xlnt. As you can see on the screenshot, I listed what my opponent could play and I tried to take a good counter, or at least avoid choosing something my opponent would counter easily. So for instance, I anticipated xlnt would take Tigran Necro vs me and that’s what he did. I could choose between Necro or Theo. I went for Necro because I was quite worried by that match and I knew I could make more mistakes while playing Necro, without paying the price, and Necro vs Necro is an open match-up. 5/ What is your favourite class/race and why? With what specialisations? Hiliadan: I used to play a lot of Goblin Theocrat and I really liked the fast expansion it allows. 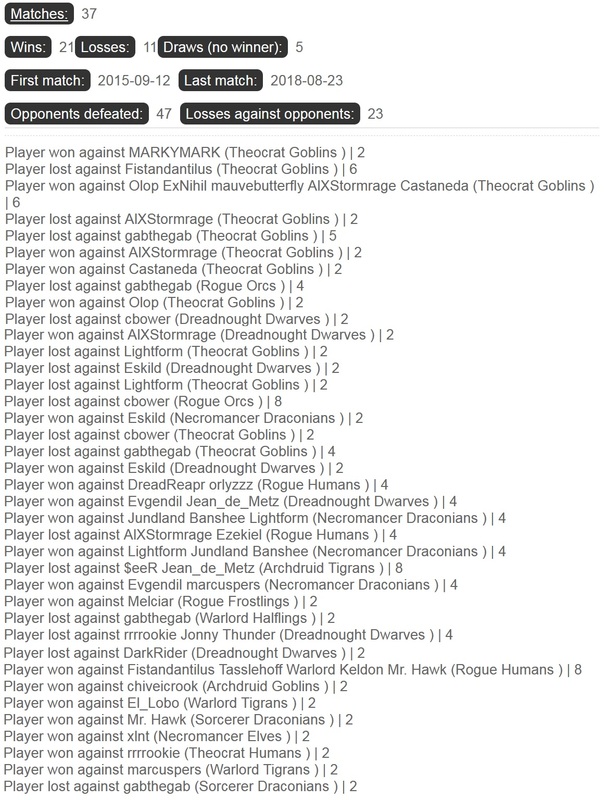 I loved Goblins in AoW2 but they’re not the strongest race to play in competitive PBEM so I have shunned them a bit recently (I did play Goblin AD in the tournament though). Now my favourite class is probably Rogue because its gameplay really fits my style: I love to scout my opponents with Crows and harrass them, conceal my units, use strategic spells to crush their economies without fighting any big battles… I’m not yet clear about the best race to play with Rogue. Human is strong. Frostling is also quite interesting. Partisan and Destruction Adept are two very strong choices here for cheaper units at Inns, cheaper Vassals, concealed units with Partisan Army and Hasty Plunder + Scorched Earth. Otherwise, I find Tigran Warlord with Grey Guard Master really really strong for fast expansion strategies. And I like Dwarf Dreadnought a lot but it’s too weak now. 6/ In your opinion, what are some of the best units by tier? Hiliadan: T1: Goblin Swarm Darter, the best Archer but very squishy! T2: I love Goblin Blight Doctor, especially when playing Theo which unlocks some Healing. The Weakneing is very synergistic both with the Blight damage of Goblins, but also with mind-control abilities. T3: Nightshade Fairies are really badass. Trolls are of course very good in PBEM thanks to Regrowth. Naga Matriarches are excellent contenders for the top T3 unit. T4: I like Obsidian Dragons for their mobility, concealment and sheer strength but they’re clearly not the strongest units and they really rely too much on Blight. With v1.25, their Path of Blight becomes more interesting though. Dread Reapers are probably among the best T4 in PBEM. 7/ What was the hardest match you played in this tournament? Hiliadan: Before the final 2 matches, the hardest match was definitely vs Marcuspers. He attacked me with very strong stacks and it was not clear how I could beat him. I also made a very bad move with my main army because I thought 1 hex was Artic while it was Water. But in the end, that move might not have been that bad as Marcus lost his high-level AD and many good units when attacking me. Video playlist of that match. 8/ What results do you expect for the 3 teams in the final phase? Hiliadan: I expect the 2 matches for the final phase (if I beat gab) to be much much harder than all the other matches I played so far. I never ever beat gab (no one has, except Jean, in fact) and I know he is much better than me in many areas. I think I can beat Jean but that would also be quite difficult. Jean beat gab once and I think he can repeat that. So I would expect either: #1 Jean, #2 gab, #3 me or #1 me, #2 Jean, #3 gab depending on the results of the match between gab and me. 9/ Any advice for players who would like to improve? If you are really dedicated, you can also train specific tactical fights in single player by using cheat codes to get the army you want before entering a fight. If you're interested by competitive plays, please check this video library gathering most competitive PBEM and live MP videos. Tourney won by Team Coup de Grâce!! (Tourney)A great tourney eventually found his earned end! Thanks to all those who participated in this tourney !! Congrats to the winner(s)! And a big thanks to the organizer myl_supporter! And the winner was Coup de Grâce. He will get an extra place in our Hall of Fame! Good luck and have fun in the next tourneys! Interview of Jean de Metz & Melciar - 3rd of the 2016 2vs2 PBEM Tournament (part 2)(Community)Interested in getting some insights into the strategies of some of the best players of AoW3? Want to know what they think are the best combos and units? This is part 2 of the first of a series of 3 interviews with the players who qualified for the final phase of the 2016 PBEM 2vs2 Team Tournament, which involved 16 teams. An introduction to Jean and Melciar and the answers to the first questions of this interview can be found in the first part of the interview. 7/ How did you work in your team? 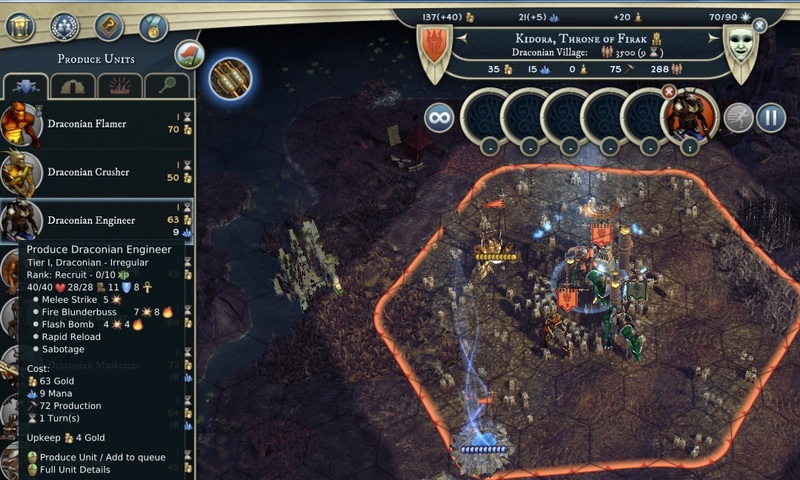 Did you share screenshots or discuss strategies between turns? If yes, with what tools (Dropbox, text, call, …)? Jean: Team games are the most interesting format for me. I always discuss strategy and share screenshots with my teammates. I think that Skype and Discord are the best tools for it. I don't like Dropbox because you can only upload screenshots there and you still have to use other programs to contact you teammate. In Skype I can look at the screenshots and talk to my teammate at the same time. I like to discuss strategy via voice with Hellbrick. 8/ What are the big differences between free for all and team games in your opinion? What strategies did you develop in your matches that you could not have achieved alone? Melciar: FFA is almost survival. You need to catch the very moment when your neighbours fight each other and then attack the weakest. A team game is a format where you need to build your team strategy. Jean: Team games are all about cooperation. Here you can take any class with its weaknesses because your teammate can help you. For example, you can play Dreadnought or Warlord in the underground but these classes are often blind there. As for summoners, you often face the following situation: you need to scout and summon units to your army at the same time. So a good teammate can always help you with scouting and different resources. Right now I don't like FFA games. Honestly, I haven't yet finished any FFA games at all but right now I'm playing two games of this kind. In both of them I can see how powerful shadow diplomacy is. I believe that no matter how good you are at this game, you can never fight several players at the same time. It's challenging, yes, but not that interesting to me. 9/ What was the hardest match you played in this tournament? Melciar: Every match was tough for me, really. Jean: The hardest match was against Warlord Keldon and Fistandantilus (note from the editor: check out the detailed report of this game). In this game we were very close to defeat. I have to say that I always run the risk of not finishing my 2-2 tournament games in time. It makes it even more difficult for me because I have to keep in mind that the match can be decided by score. 10/ What results do you expect for the 3 teams in the final phase? Melciar: I have no idea. Jean: I expect my team to lose in the upcoming round. Melciar is definitely not ready for this tournament and I think that Bastards of the North will punish him for his mistakes. What's more, our opponents are placed very high in the rankings and I'm not sure I myself can outplay them. I think that Gabriel will claim another title though Tussell can be his weakness now since he very rarely plays these days and can get out of shape. 11/ Any advice for players who would like to improve? Melciar: Play a lot. Train fights vs the AI so that later you can play them automatically. Analyze your games. Maybe you just do something wrong in this game? Try to change you play style or simply ask a strong player for an advice. That's why I always enjoy reading reports on the battlefield - I can find something new for me there. I myself write reports and play in team with different players where we can watch each other moves. I don't like when players say almost nothing after a game explaining that they don't want to reveal anything. How can new players learn then? Tourney won by Player gabthegab !! (Tourney)A great tourney eventually found his earned end! Congrats to the winner(s)! And a big thanks to the organizer Hiliadan! And the winner was gabthegab. PBEM and Single Player Balance Mod v1.25: further consolidation and SDNR(Community)v1.25 was made available about 3 months after the release of v1.24, maintaining the good pace of the last two updates. It comes together with a new mod that is part of the balance mod but had to released separately for technical reasons: the Strong Defenders Normal Rewards or SNDR mod. This new version builds on the changes brought by previous versions, polishing the balance of Dreadnoughts, Necromancers and Tigrans, fixing 1 bug from the official game and improving the user experience (a few new icons). v1.25 brings about 19 changes and 8 issue fixes (1 from the base game and 7 from the mod itself). It cannot be considered as a major update of the balance mod, but it nonetheless is an important milestone, bringing much needed rebalancing to how easily secret spells can be obtained and tweaking some classes or race. Preparation of round 1 of the 2018 PBEM 2vs2 Tourney: new square map sizes so that the distance east-west and north-south is the same and "Far Starting Position" really means players start far from each other (in the past, for north-south starts, players ended up closer to each other than for east-west starts), changes to rapids (blocked rivers) to avoid situations where players are severaly hampered by unlucky rapids cutting them from the rest of the map, and some balancing of the still relatively weak Dreadnought class and relatively strong Necro and Tigrans. v1.25 also fixes one "bug" from the official version. Bug fixing is now one priority of the balance mod (as could already be seen in the article about v1.24), since Triumph now lacks time to fix some bugs, as patches for AoW3 are rarer and lighter than before. v1.25 comes together with a new mod, the Strong Defenders Normal Rewards (SDNR) mod. This very important mod implements one change planned that couldn't be implemented directly in the main mod: "A new setting is available for “Defenders Strength”: “Strong with Normal rewards”: Treasure sites do not give +50% reward value any more" (change GC52 for those following closely the balance mod's proposals ). It is advised to always use it when you play with Strong Defenders (in the settings of your games), but only then. If you use it with Normal Defenders, you would get -33% gold compared to what devs planned so that would seriously increase difficulty. Looking at the future, v1.26 should be released on the beta branch of the balance in October. It will be a minor update with only 2 changes but a lot of updates to the imprecise or incorrect descriptions of abilities in the official game, improving user experience. The work regarding racial governance (priority #3 expressed in the poll about the directions the balance mod should take) is still under way on Triumph's old official forum. - A new “Square Medium” map size is available: 89 x 89 (by comparison, Medium is 73 x 97). - The True Resurrect skill unlocks two spells : True Resurrect (50 CP) which can affect any unit and Greater Resurrect (25 CP) which can affect only allied units (was True Resurrect costs 25 CP and can affect any unit). - A new Avatar spell, “Clear River” (rapids) is available as a starting spell. It allows to terraform blocked rivers into (unblocked) rivers (when in domain) for 12 mana per hex. - Inject Mana Fuel has cooldown 3 and can be dispelled (was Once per battle and cannot be dispelled). - Stiffen Limb has a strength 13 Spirit check and cost 7 CP. If it fails, its target gets -12 MP for one turn (was no attack check). - Martyr have a specific tier parameter: they reach Expert at 70 XP instead of 35 XP and reach Elite at 140 XP instead of 70 XP. 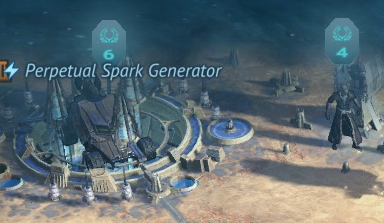 Regeneration is available at Expert (was Elite). Awakened Martyrs are removed. AoW: Planetfall collected knowledge - updated 23 August(News)This article puts all that we know about AoW: Planetfall in one place! It's long but it contains all you want to know. It will be updated regularly to include the latest published information. I was only a young child the first time I played a game in the Age of Wonders series. The famed AoWII demo disk from a popular UK gaming magazine that featured a map with Yaka and his tigrans facing off against Meandor and Julias respective elven factions. I ended up playing the AoW games everyday after school which helped to spark the inner TBS gamer within me. Fast forward many years and I was overjoyed to be involved in the first wave of beta testing for AoWIII. All of this backstory is simply to say that I hold the series near to my heart, and so as you can imagine, I was very skeptical of the announcement for the new game. A sci-fi game.. using the Age of Wonders prefix? Thats.. Blasphemy! Did your new parent company force you into this decision!!? My mind started racing to very nefarious places during that initial live stream. However, while we don't have a whole lot of information yet, I have spent a fair amount of time gathering up everything we do have and suffice it to say, I am intrigued and cant help but find myself feeling positive for the future of the series. First of all, we don't know whether or not the sci-fi and fantasy universes are one and the same, but either way, it doesn't really matter, because this doesn't mean we have seen the end of the fantasy games. The developers are simply taking a break as they have been working on fantasy since the company's inception!. Secondly, the game is using the same mechanics we associate with AoW. The world map and combat systems return, even the amazing campaigns and modding tools are all a heavy focus of the devs. We are basically looking at a beefier AoWs game given a sci-fi spin. And I don't know about you, but as Im still immensely enjoying AoWIII, I am so happy to have a different type of game to enjoy alongside its fantasy counterpart. Finally, the game has the same team behind it that worked on all of the previous Age of Wonders games. The same nerds who designed the mechanics, who wrote the story and who composed the score. They are passionate about sci-fi in the same way they are passionate about fantasy and at its very heart, that is something to be looking forward to! Ok! So the future is bright - but what about the game!? Well, it's sounding like the natural evolution of the AoWIII formula, with each featured beefed up to the max. The “race & class” combo returns with a few changes. Now its “faction & technology” and your choice of race will be much more important than it was in AoWIII. However, entirely new species have been created just for this game and while some of them share similar traits and characteristics compared to the classics such as dwarves, they all have something that separates them from their fantasy counterparts. The world map and expansion system makes its return too, with a few improvements. The entire map is now broken into sectors, each one specialising in something different. One of them may allow you to establish a new settlement, while another can be bolted onto a previous settlements domain, unlocking new features. The idea is fascinating and should help to both speed up the game, while making empire management both more engaging and entertaining. A human looking settlement with a human guardian & new artwork throughout the image! Checkout all those lovely looking sectors around the place too, oozing with loreful names. The game engine has received a massive overhaul as now everything is much more focused around long range combat. This has changed the flow of the game and new mechanics have been introduced that keep things interesting. Including the return of flying units! Colony management is more involved, with a population points system that can be moved around within a sector to specialise in certain areas increasing productivity where needed. An enhanced diplomacy system is woven into more areas of the game and further increases the fun factor on the world map. A new unit blueprint system has been introduced, unlocking the ability to create multiple versions of the same base unit - using different loadouts. For example a marine with a anti-infantry or anti-heavy weapon. The game isnt even in an alpha state yet and I am already falling all over it with joy at the information that has leaked out over the past few weeks. So far so good. There are still many areas of the game we know so little about, but if you want to find a run down on all the information we do know, keep reading for a full list. eXplore: Uncover the history of the fallen galactic empire as you explore lush landscapes. Encounter NPC factions and rival houses, and discover hidden technologies that can strengthen your society. eXpand: Create your own unique House, and build prosperous colonies through economic specializations of planetary sectors and governing doctrines. eXploit: Achieve your end goals through conquest, diplomacy or doomsday technologies. Engrossing options with NPC factions and rival Houses won’t make the decisions easy! eXterminate: Perfect your combat strategy in intense turn-based battles that offer tactical challenges, a large cast of races, units with customizable weapons, and destructible environments. 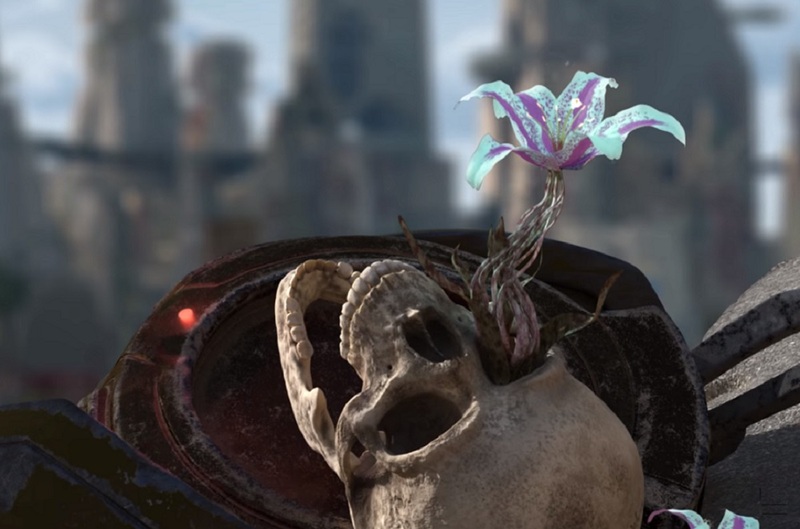 The dead skeleton from the trailer video, does that flower mean something? Who knows! It's still an Age of Wonders game, however technology replaces most magical abilities. There are also psychic races that help to represent magical abilities. The game is using a custom mythological science-fiction setting, based around a long forgotten fallen empire called the Star Union. It is unknown whether or not it is set within the same universe, however, the races are certainly unique to this game. Consider the setting a blend of Alpha Centauri & Fallout on a vastly increased scale, featuring multiple worlds all secreting away old technology among various other mysteries of the Star Union. A relatively rare resource, Cosmite, designed to manage the frequency of tier 3, and especially tier 4, units, as well as several high end technologies, that can be fielded has been introduced, but details are not finalized. No faction at release uses Laser/Arc, because "The lack of flexibility the race would face might be problematic." Psionic damage ignores armour rating, and is only reduced by shield rating and Psionic resistance. Currently, no unit uses multi-channel damage abilities, but the game does support multi-channel attacks. There is no deployment phase, however the battlefields are now considerably larger, containing interactive objects that can be used for cover and even be destroyed under sustained heavy fire. Defender moves first when combat is engaged. Only the Attacker may retreat. With larger battlefields, a stronger focus is placed on ranged combat than ever before. This has allowed permanently air born units (who can't be hit by land melee units) to make a return to the game. Flying units can fly over ground units on the same hex. You can also use large vehicles or even summoned interactables such as a drop-pod as cover, gaining a boost to your defenses. Impassible terrain can only be flown or floated over in combat, with some rare units being able to move through obstacles. Technology replaces magic: Now called “Operations”, You can call in off-screen assistance in the form of; artillery and orbital bombardments, marine drop pods, napalm style attacks, and much much more. 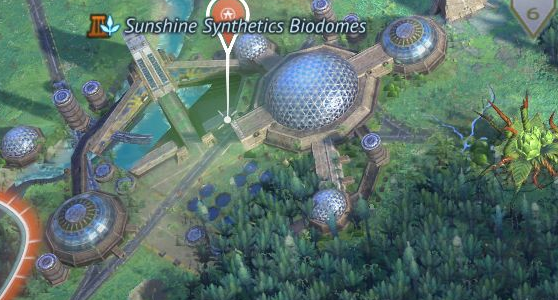 Natural Terrain & Tactical Elevation: Citadels, Biodomes, Terraces and more. While nothing has yet been set in stone, raised and lowered elements of terrain is planned and should affect cover, hit chances, movement, the value of flying units, etc. Sieges: The siege system has been redesigned. We know maps are much larger now and that elevation now plays an effect. Attacking from building terraces was discussed. Defense Mode: Provides a 25% reduction in hit chance against the unit. Uses your remaining action points to enter overwatch and aim a cone of fire in a given direction. The unit will fire upon any enemies which enter said cone of fire (even if they are behind cover), a number of times equal to the amount of action points it had remaining. Primarily available to 'rifleman' and 'sniper' styled units, although generally defensive units may qualify for it as well. Benefits from a hidden bonus to allow Overwatch attacks to suffer less some of the accuracy penalties from long range and cover. Melee units go into a melee range overwatch at the end of their turn, even if they took an action that turn. Provides a free attack against any unit which attempts to move past them or fire at them in melee. It is not confirmed if this drains their action points, but it likely will. Impact attacks can stagger units and break their Overwatch stance. High impact attacks break Overwatch of Light units. Massive impact attacks are needed to break the Overwatch of Heavy units. A moving unit will stop with no move points left and might end up out of cover. An attacking unit will stop attacking and lose the unused attacks from the remaining action points it had. Action Points: A similar system to that of AoW3, however draining action points works a little different now that ranged combat reigns supreme. Certain attacks and abilities can stagger an opponent which knocks them out of stances like overwatch or guard mode and also drains them of their action points too. These will likely result in much more countering and careful advances than previously with an increased focus on ranged units that should make this quite an interesting and fun addition. Example: for an accuracy of 80%, the hit chance is 80%, the graze chance is 20% and the miss chance is 0%. For an accuracy of 40%: hit 40%, graze 25% and miss 35%. Each additional resistance point reduces damage by 10% compared to the damage without this extra point, so additional resistance has diminishing returns. The shield value is ignored by melee attacks. Armour and shield values can be reduced, but not into the negatives. Elemental weaknesses are the only way to use the damage formula as a damage amplifier (for instance Thermal Weakness 5 means that 5 is subtracted from your armour/shield value, and that result can be negative). The first few points of resistance reduce damage by roughly 10% each, but as more is stacked, this decreases rapidly. The difference between 10 and 11 resistance is only 4% for instance of the incoming damage. Some abilities can instantly kill enemy units (like Invoke Death in AoW3). For instance the Plasma Disintegrator Module is an end game module for laser weaponry, allowing attacks to strip armour and giving a chance to insta-kill tier 1 and 2 units. Each race is designed around its own unique set of mechanics. Each race will provide 11 stock units: 8 ground/air faction-specific units, 2 faction-specific naval units, and a Colonizer. Are an old expeditionary task force that were sent out to claim new worlds on the frontier of the Union. The Vanguard are hardened pioneers and marines with few ties to the old world; the effects of time dilation matter little to them. When they arrived at their destination and emerged from cryo-stasis, the Vanguard found out the Nexus had gone black, and they had no way to return. In the time they had been traveling, the empire they were sworn to protect had fallen. Because of this delay, the Vanguard resemble imperial forces from before the fall. The Vanguard specialize in drones and autonomous robots. Their faction leader is called Jack Gelder, his city is called Fort Gelder. May have innate stealth detection. Increases the accuracy of allies against targets it attacks, or it has a specific ability to increase the accuracy of allies against a given target. Their T4 specializes in launching various types of drones in combat to provide defensive and offensive support. It is possibly flying. Possibly similar to a Star Craft Protoss carrier, in function, but certainly not visual style, since this is Vanguard. Humans, and some weird tiny units in the background (look over the guy in the coats right shoulder!) which are probably the Kir'Ko Ravenous and Frenzied . Are a brutal race of warrior women who biologically enhanced themselves as well as savage alien races to use as their tools, in an effort to better crush their foes. They have been described as an all female nation of MMA fighters, riding brutal dinosaurs into battle. A parallel has been drawn between them and elves. Forest Affinity: provides a morale bonus in forests (potentially stacking with their Arcardian favored terrain when applicable). Expedited Movement (Forest): allows faster movement through forests. Typically deployed to patrol the vast forests where the Amazon’s conduct their research, Lancers are the pinnacle of self sufficiency. Its melee attack Staggers opponents. Energy Buckler: gives the Lancer its 3 Shield but not against flanking attacks. Are a faction of planetary miners who entered the most hostile places in space using their powerful suits to shield themselves from radiation, heat, etc. during the Star Unions reign. Now, nobody knows exactly what they look like, as they live within their suits, and you never see their faces. It's like... do Dwarven women exist – AoWP style! Even when you customize their appearance, you’re customizing the eye holes, adding an exhaust or an extra tube, etc. Their methods are based around explosives, tectonic shifts, etc. and so their battlefield mechanics are themed around area of effects and staggering opponents. Dvar commonly have 24 base speed. A sort of slow but strong thematic army approach to their design. Dedicated gunnery platform designed to guard Dvar facilities against thieves and aggressive native fauna. Unlimited Overwatch: allows a full three shots against all targets that enter their cone of fire when in Ranged Overwatch, regardless of the remaining action points. Concussive Volley: long range, extremely (currently at 96% against a Lancer) high success rate single target stun ability, which lasts only for the turn of impact, designed to setup another ally to take advantage of the automatic flanking damage. Through some visual trickery the Dvar Tier IV actually looks like it is taking up 7 hexes. Possibly some form of artillery. Represent both a brutish orclike race, as well as a skittish goblinoid people. They have also been heavily modified and many of their body parts have been replaced with mechanical legs or even tentacles. One of their units can take apart corpses and rebuild them into spider bomb robots. Humanoid, with many mechanical parts, including tendrils/tentacle-like protrusions: an Assembly unit? One of the descendents of the Kir’ko queens, who were wiped out by the Star Union. Bred as guerilla fighters, the Hidden championed the cause of Kir’ko rebellion from the shadows. As with all Kir’ko females, the Hidden have powerful psionic abilities, which they use to both attack and elude their foes. Defense Mode: Evasion: provides a further 25% reduction on top of normal Defense Mode, for a total of -50% chance to be hit. Universal Camouflage: grants concealment on all terrain types. Shrouded Step: ability similar to Shadow Step in AoW3: teleports the unit at short range and also creates an accuracy-reducing smoke cloud in the target and all adjacent hexes upon arrival. Psi-Rifle: uses all the action points. Psi-Rifle Snap Shot: can be used after moving. Improved Overwatch: gets an accuracy bonus for overwatch shots. The Kir'Ko equivalent of the Vanguard Marine is called a Frenzied, a melee unit who gains a bonus for each attack it makes. The Kir'Ko equivalent of the Vanguard Tank is called a Ravenous. 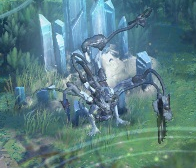 Mechanically similar to the Harvester from AoW:SM, it is a melee unit which can eat units whole and then lay eggs to spawn new units of their own. Very little is known about them other than they are currently using an eastern architecture design and are rumored to be themed around slavery. You choose one out of six types of secret technology that you start the game with. This determines your research and “class”-based abilities, modules, doctrines, operations and units. Each Secret Tech also has a unique Victory Condition. Every Secret Tech will provide a race with around 4 additional unique racial units. You can unlock additional secret technologies from “old tech black sites” scattered throughout the maps. Secret Tech selection will be hidden to other players (they can of course guess it when they see you using units or other elements from the Secret Tech). Promethean Technology – Designed to destroy enemy of the Star Union from within or without. The Promethean specialize in Thermal weapons that leave areas of the battlefield on fire, providing area denial abilities. They can also mod their units to be immune to this fire, or even gain buffs from it, allowing them to reshape the battlefield to their advantage. Unknown! We need more info. Two more secret tech, yet unknown. Icon of one of the two secret tech to be revealed, mentioned as "the opposite of Psynumbra". These are the mindless and disorganized units that you will be encountering throughout the maps, that do not belong to an empire. The confirmed units so far are Giant killer insects and the Quartzinites: A varied race of creatures made from types of stone. Marauder Bases are the term given for spawner sites of various roaming independents. Similarly, Marauder is an umbrella term for the monsters and pirates that are beyond reason and cannot be negotiated with, not a true NPC Faction. Hopperhound: similar to a giant locust, with the ability to jump and rip through (shred? ignore?) armour. The independent faction system from AoW3 has been fleshed out and are planned to have a more important role within the game. They are intended to represent the people that survived the fall of the Star Union, but are not powerful enough to amass system or even planet wide control. Each NPC Faction has its own set of quests and narrative flavour. Quests can even include economic quests requiring you to spend time producing a quest objective in one of your settlements. With good influence and relationship, you can ask for NPC to give up important structures for you to use. You can negotiate otherwise friendly faction site defenders to move away at an influence cost, varying by the level of your relationship and your general reputation level. If you decide to remove an army belonging to an NPC faction by force, it means war with the entire faction and a hit on your global reputation. Just as AI Players, NPC factions lay claim to unowned Sectors around their habitats. NPC factions will make demands based on their relation with you and based on the stage of the game. Small and early offenses can be made right by payments in one of the key resources. Soon demands will escalate and include demands that you hand over sectors to them. If you decline demands, relations will go further south and you are at risk of attack. NPC Factions have no direct relations with each other, but may provide quests which impact player relations with other factions. Each NPC Faction has at least 5 unique units, including a Tier IV. It also has a set of unique Mods and Operations you can acquire from them. As with other mods, they will have requisite unit identifiers, such as Infantry, Biological or Mechanical. Depending on your relation level you can recruit NPC Units as auxiliary forces. The higher your relation, the higher the level you can recruit. This recruitment costs additional influence. NPC relation of other players can be influenced through Covert Ops and play a role in achieving particular victory conditions. NPC factions can launch invasion attacks associated with events. An extreme version of NPC attack events are Boss events, extra strong armies that have named Boss characters with high level unit mods and henchmen. Strongly defended, relatively permanent structures (presumably they may still be subject to being razed). Can and will lay claims on surrounding sectors. Dwelling can be annexed to your cities like other sectors. They have resource yields comparable with the Golden Landmarks (the highest-level economic structures in the game), and they unlock the production of units of the faction. A lesser form of dwellings. Usually multiple are scattered around a dwelling, not necessarily attached. Temporary structures (removed if cleared), similar to a spawning site in AoW3. Can be cleared by either combat or diplomatic means. If made sufficiently hostile, they will spawn stacks to attack the player instead (similar to Brigand spawners when hostile). Relations with them are influenced (and possibly influence as well) by relations with that NPC-faction as a whole (such as the dwelling). Can occupy sectors and prevent settling in said sectors. Patrols: guard territory around dwellings. Raiding Armies: attack enemy territory; originate from dwellings or bases. Boss Armies: high level raiding armies. The RMG associates particular assets with NPC factions. The Union’s privileged citizens and praetorian military. Named after the Paragon Augmentations company that provided them with the extensive bionic implants that unnaturally extended their lives. Their life-extending augmentations and therapies which are now faltering. They haven’t lost their arrogance and entitlement though. Approaching a Paragon Dwelling with a Colonizer. Intelligent plants escaped from biotech company Terra Tech. They strive to live in a symbiosis with other life forms, not for people with tenctaclephobia. Mutated descendants of the urban populations. Their society and religion were shaped by gaming culture, as the empire population was entertained extreme VR experiences. With the networks gone, they seek their thrills in the physical world. A Spacer caught on camera? Robots from the emergency services that have developed their own autonomous AIs after the central network of CORE went down. Mysterious floating aliens that have become more prevalent after the collapse. NPC factions can be controlled in the RMG, but details on how (just frequency, or even type?) were not provided. 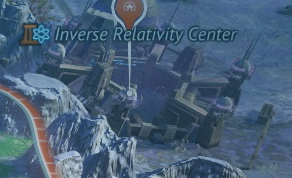 Apparently not all NPC types will exist together on a normal planet. Players will have limited access to the tech trees of other main faction races they acquire in their empire. The tech tree is divided into a yet unknown number of tiers. There are some tech progression dependencies but (so far) only within the same tech type, creating "Tech Paths", displayed in distinct colours (see screenshot below). Military and Society technologies are separated form each other, but now also researched simultaneously. Techs have tag identifiers under their name denoting Forces/Tactical/Strategic/etc. Units are classified as Biological or Mechanical. This influences the module they can use. 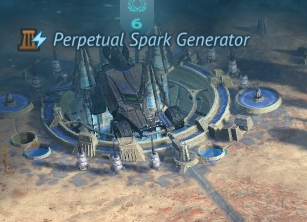 Mechanical Units automatically have 4 Psionic Resistance and 2 Arc Weakness, similar to Machines having Spirit protection (immunity) and Shock/Fire Weakness in AoW3. Biomechanical attacks have been stated to include such effects as armour-shredding acid, being designed as a counter to the generally highly-armoured Mechanical units. Some units are classified with the 'Core' trait. While unconfirmed, it is noted that of the revealed units, only T1 units so far have been Core, and one can extrapolate that 'Core' units are likely the units available to be produced by a faction without requiring further research. Standard property given to most vehicles and larger units. Gives Stagger resistance (staggered only by Massive impact attacks). The unit will not turn to face its attacker when shot at. So far, this primarily appears to relate to Impact/Stagger effects, with Heavy Units having Stagger Resistance which counters High Impact, but not Massive Impact strikes. Also, Heavy units do not turn to react to flanking strikes. A 'Large Target' trait also exists. It is presumed to relate to the fact that you can now aim at units later in a line, and have a chance to hit any of the targets, with a multi-shot attack. Large Target in this case, would likely make the given unit more likely to be struck, making it an effective blocker unit. A fairly unique system whereby you research “modules” based – each of which can only be applied to specific unit types. Modules originate from your race (8 per race), Secret Tech, Weapon Tech (around 7 per weapon group), NPC-factions, secondary-acquired races (and possibly even Landmark fans hope). Units can have up to 3 modules. In order to build units using those modules, you need to design a blueprint or template which you can name, and then build its “prototype”. Each new unit of that type built after the prototype will use the set design and previously built units can be also be upgraded to that design too. This lets you develop and field various versions of the same stock unit, each specialized to counter a specific threat. This also means that through micromanagement, you can choose to field low tier units and keep them competitive throughout the game, instead of relying on high tier units as soon as they become available. It's worth noting that some races modules can be used by multiple races, while others are locked to only a themselves. Such as Amazons using Vanguard guns, while only the Kir’ko can use their organic weapons. The mods equipped by a unit can be changed (upgrading) or new mods can be added to a unit having few or none (retrofitting): this takes time (at least 1 turn) and also disables all current mods for the duration of the upgrade process. Currently, unit rank ups are primarily set to increase health and accuracy values, with the unit module system designed to provide extra abilities to units. The devs have looked into providing enhanced modifiers towards a unit's core trait purpose, though, at higher ranks. Bonus towards a Bulwark's Overwatch, or a Lancer's flanking effectiveness, for example. Endless champion medals are not in right now, but might come back. High-end mods are relied on to make early game units viable. 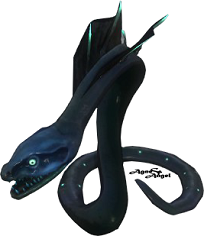 Found within certain exploration sites, and special spawner events, such as NPC attack events. Unit icons updated on the go: a snapshot renderer will update units' icons based on the modules they use, etc. It will also save icon creation time for modders. Your settlements now spawn their own set of defenders, meaning you no longer need to place a world map army on the side to have a garrisoned force during tactical combat. You can increase the levels of protection through buildings, such as city-wide shields. The entire map is now broken up into named sectors (a similar game mechanics to the Mystical City Upgrades from AoW3), and a single sector can be as large as an AoW3 cities domain. Wilderness Sectors follow natural boundaries and reflect their terrain. They contain one biome and a number of natural terrain features - these define the sector's base resource yield. Players can expand their colonies into Wildernesses and develop them. Coastal Waters: similar to Wilderness Sectors. Elysium Park: lets you recruit Las Vegas style entertainment industry androids. 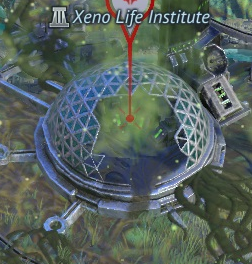 Is potentially related to the Xenoplague units (unless it's entirely a Secret Tech), at least in lore. Dwelling Sectors: Contain the bases and cities of NPC Natives. Smaller spawner-like camps you can clear through diplomacy or force. Larger habitats work like landmarks in the sense they they occupy a sector. 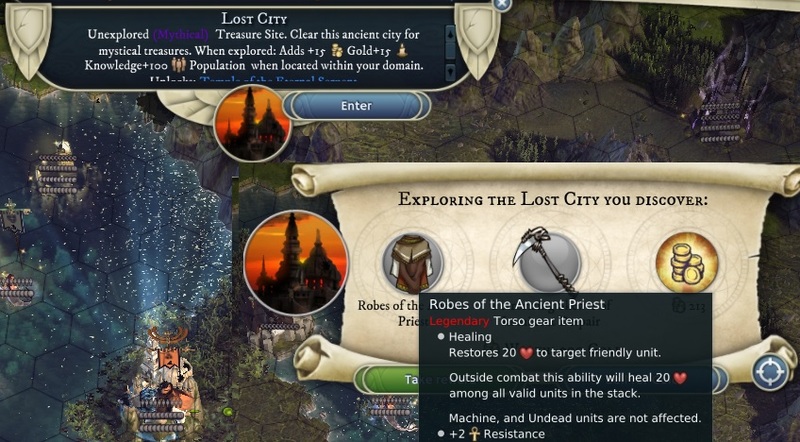 Sectors may provide unique story content, such as quests and side missions. Additional Structures and Effects: Next to sector occupying Landmark and bases, there is a collection of secondary structures to be found. They include resource nodes, pickups and visit sites. Then there are defenses and hazards that work as status effects for the entire sector. Colonies are expanded by adding sectors to them, these sectors can subsequently be specialized in one of the main resource types and further upgraded. Landmark Sectors provide unique benefits to the colonies. Higher level landmarks unlock new city upgrades, or unlock new Doctrines. The number of sectors a colony can annex is dependent on population level, as well as research allowing you to settle certain types. 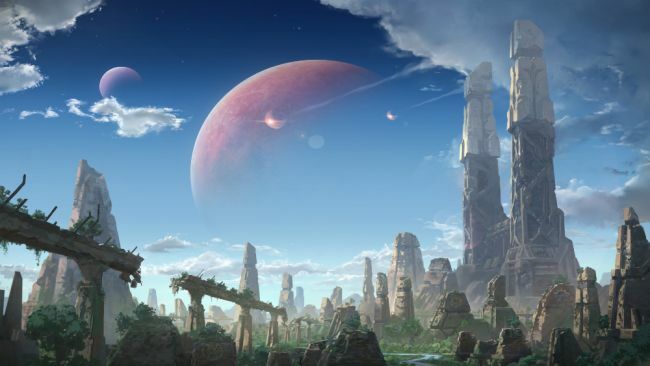 Players may lay claim to lands by building Forward Bases in sectors. Sectors can also be captured and traded individually. Forward basis cost rather than yield resources. 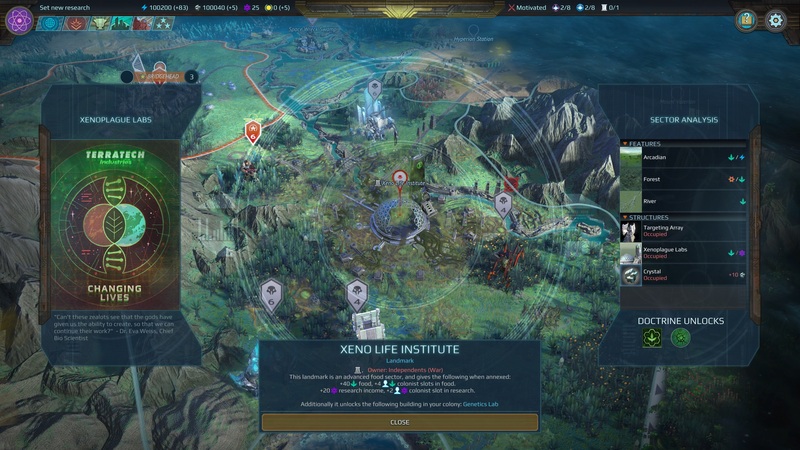 A Sector Analysis screen will detail information related to each sector: structures, incomes, and unlockable Doctrines (primarily for Landmark Sectors), etc. Sectors will project a scan range into surrounding sectors' fog of war, and possibly beyond, giving identifying markers for site defenders (Neutrals) and aggressive independent or enemy unit stacks. Research, varying by faction to some degree, can influence the scanning distance and details given, but research can also inhibit enemy scanning abilities, depending on what your faction has available. 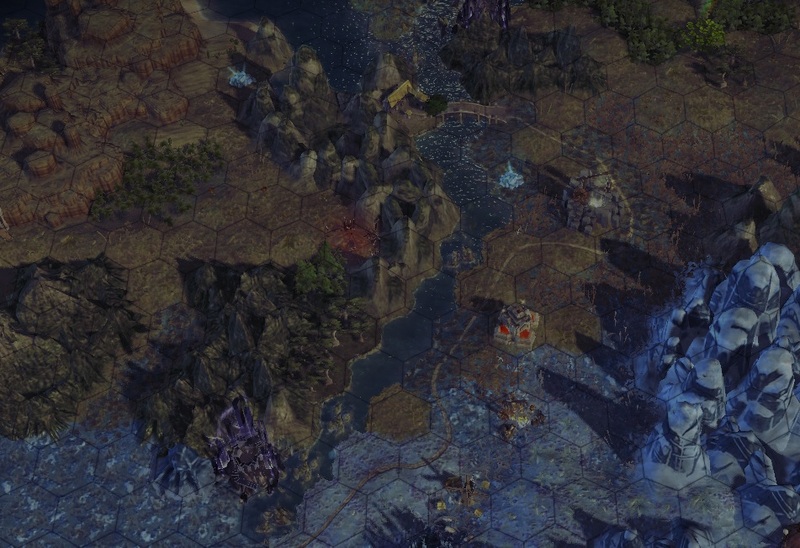 Concealed units avoid being revealed by scanning by default, and structures such as the Shroud Station project a scanning-resistant fog of war similar to the Domain of Darkness of Age of Wonders 2. There are even Operations to conceal sectors (or units). Scanners will not show an overall detection radius by default, but it may be added in as a toggle. Terraforming on the world map makes a return, including the ability to lower and raise terrain and likely even erecting new mountains altogether. The world map is based around a single planet, though the campaign will span an entire system or even galaxy. The world map is still square, but it now loops around on the west-east axis. Letting you continue marching in one of those directions without stopping. There are five main land biomes + oceans. Planets are thus made of frozen wastes, lush jungles, and deserts, with their own alien flora and fauna. The different biomes have varied resource yields to be exploited through research. Planets can be created from templates or the player can adjust settings (including the amount of Star Union Ruins for instance). All procedural generated planets get a name and are plotted on the Star Union’s galaxy map. Standard move speed values are 24/32/40. Being within Friendly Territory causes a unit to recover +6 HP per strategic game turn. 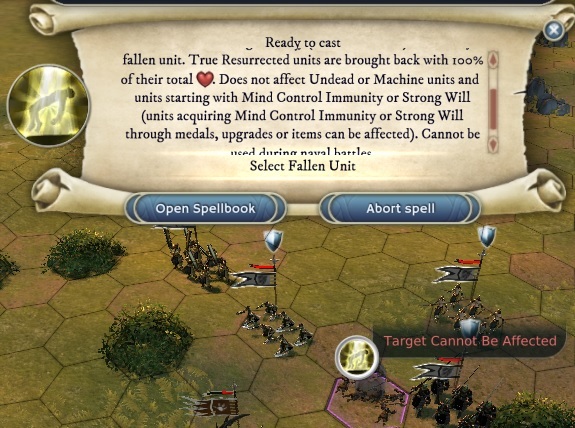 It has been implied, but not outright confirmed, this may be the only way for units to normally regain health, applying a form of attrition to the game. It is notable that this healing also applies for units tagged as Mechanical. Pickups on the world map can sometimes trigger bonus events with a multiple choice selection of actions/rewards to be taken from them. These bonus events are always positive in some way, to avoid ambushes on scout units getting the pickups. Hazards are a new type of hex occurrence which drastically reduce the income of sectors they are in, and have negative effects on units nearby. They require special researched technology to be removed. This sector contains a Tear into the Abyss, through with its influence seeps into this world. This sector generates 50% less income. 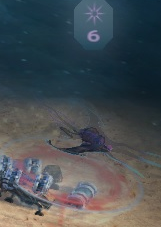 Units do not regain health out of combat. Non-Psynumbra units suffer a -3 reduction to Vision and Sensor range. Non-Mindless, Non-Psunumbra units suffer -300 Morale. Psynumbra marauders spawn from here, raiding their surroundings. Resource bar icons (left to right). Energy, Cosmite, Knowledge, Influence, Global Morale, Tactical Operations (Tac Ops), Strategic Operations (Strat Ops), Doctrines. Reputation is next to leader face. The city banner of Gelderland shows from left to right: icon representing the current item in production, a small number indicating time remaining on production (3 turns), a large number for the current population level (13), a small number indicating time until population grows (1 turn). Hope you have good eyes! Energy is the main universal currency in the game. It is used for the production and upkeep of units, colony structures, unit modules and operations. Energy is generated by your colonies. It can be traded, and can be found as nodes and pickups on the map. Cosmite is a rare material, which has an origin beyond the void and is required for advanced units (T3 and especiall T4), unit modules and potentially some Operations and special structures. Cosmite is mainly gained from map nodes (Craters!). The rarity of this material means that high tier units can’t be mass produced and Sectors containing Cosmite are highly contested. Cosmite may or may not have some depletion mechanic, but is currently leaning heavily towards being balanced by income versus costs. Influence is the diplomatic currency used to manipulate other players and NPC factions, it can be used for things like asking NPCs to surrender locations, hire NPC mercenaries, and to make diplomatic pronouncements. Influence is gained by performing Quests and from an inherent generation of your empire. Cooperative Doctrines and friendly play styles give bonuses on Influence generation. Quest for The Growth NPC Faction with influence among the rewards. Reputation determines how other Empires and NPC factions see you. Reputation modifies your Influence gains and Global Morale. Similar to AoW3’s alignment, your Reputation is influenced by your in-game actions. Knowledge is used to conduct research (rediscover and apply the lost technologies of the Star Union). Tactical Operations points are used to launch Operations you can call in during tactical combat (Air strikes, Psi Storms, etc), when a battle takes place within your Operational Coverage. The Tac Ops value resets every turn. Strategic Operations can used on the world map. Strategic Operations include summons, sector (de-)buffs, and covert actions. Doctrine slots determines the amount of global doctrines (e.g. empire wide bonuses) you can have active at once. More doctrines will be available than you can pick: choices will need to be made. Global Morale is the overall morale of your empire. It affects Unit Morale and the Happiness of your colonists. It is influenced by the wars you enter and how justified they are perceived to be. Note there are more variables but they are not global. Like colony food and production capacity. Excess production and research points will overflow so as to not go wasted. Roads are now automatically built between your settlements / sectors. 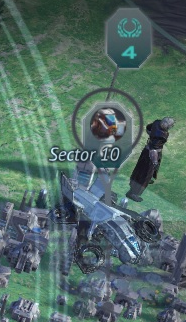 Sectors yield special resources and the terrain or biome a sector is based on determines the types of bonuses available. What these resources do exactly is unknown, but they will provide some form of benefit based on the settlement its attached to. This makes it vital to snake your empire across a map, to soak up these resources into your sector chain, effecting each settlement within. A new system has been introduced that allows you to designate what your Colonists (population) are working on, to better exploit these resources. Working towards increasing the food stores which helps with settlement growth. Sending your workers to the factories will increase production speed. This seems like an an improved version of the old settlement build queues, seemingly allowing you to work on multiple things at once by moving people around to speed up certain outputs. Colonist assignment is fairly straightforward and can be fully automated. Colonists act as wiggle room in the economy (on top of flat income sources). Colonists are assigned per resource channel (and not per sector or per tile). Command points are assumed to work like casting points, without drawing from a pool of mana. They let you use special abilities during combat or on the world map and reset upon the beginning of each new turn. 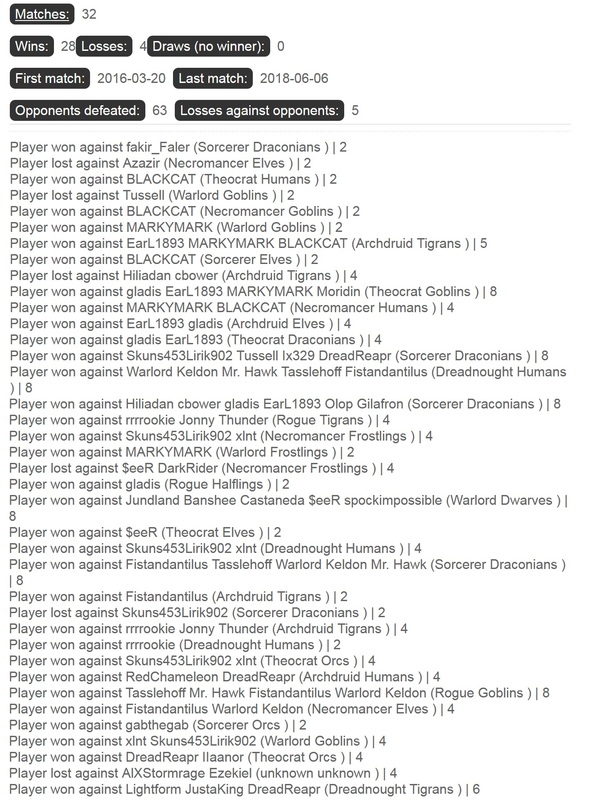 Little is known, but these are presumed win conditions for a Skirmish game and a campaigns end goal. There are at least a few different versions, one for each Secret Tech, of these “super weapons” around and they are supposed to be so powerful that they could have wiped out the entirety of the Star Union. Converting to a hive mind was hinted at as the level of power to be expected by these super weapons. Another was the Genoplague (which may be a simple high tier “spell”), which lets you mutate soldiers or even an entire colony with a virus that rewrites their DNA. Rewriting soldiers DNA could result in them becoming freakish monsters, able to stab enemies with their sharp but fleshy appendages. Racial Victory Conditions may exist in a future expansion, but are likely to be a toggle option off by default at best, for multiplayer, due to asymmetry. These are all now interwoven, being either revamped or entirely rebranded versions of previous systems. Happiness should work “better than in AoW3” on both the tactical and world maps, while alignment is heavily woven back into the diplomacy system. Racial happiness is influenced by your actions toward each race. Threats, costing Influence, can be added to diplomatic requests. Declining can give the opponent casus belli. Defensive Pact: you get involved in a war only if your ally is the one attacked, but not if your ally is an aggressor. Other players can become your Vassal. Vassalage is currently permanent, with no way for the Vassal to end the relationship on their end without their 'Ruler' being defeated. 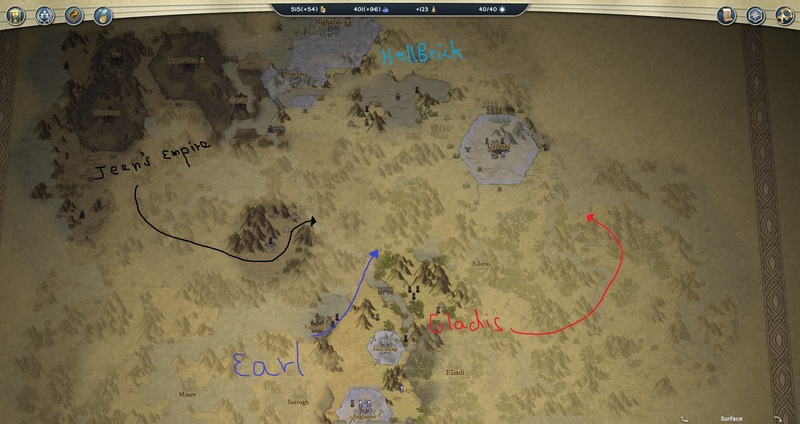 Players automatically lay claim to sectors next to their borders. Settling in it, gives a casus belli unless you have treaties. You can extend claims by building forward bases. Your leader unit in both the campaign and skirmish maps are referred to as a Commander, instead of a Wizard, Leader, Rogue, Dreadnought, etc. Campaign leaders can be visually customized. Commander selection screen. Secret Techs should also be displayed on the portraits on the left at game release. AoW:SM style perks are back for Commanders. Star Union Scholar: researches Secret Techs faster and also gets bonus rewards from pickups and treasure sites. Colony Supplement: extra starting bonus, such as basic structures in your settlement. Energy Cache: extra starting Energy. Personal Loadout: starting gear and combat skills for the commander. Sniper for long range, assault for short range, close combat specialist for melee and pilot for a starting vehicle, are the currently known types. Vices: penalties of varying intensities to obtain extra perk points in exchange. Kleptomaniac: lower your empire's energy income, but also gives your leader a free piece of random starting equipment. List of perks on the right, during Commander customization. Triumph Studios have stated that they are unhappy with it and as with everything else at this point, is subject to change or even entire removal. The idea would be to create your own “house” and play under its banner. How this affects the game is completely unknown at this point. 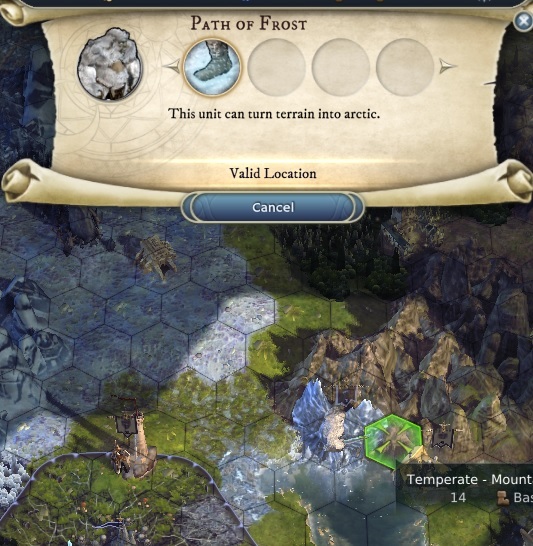 The Random Map Generator is hooked into all areas of the game, including the campaign for maximum levels of replayability. Core sectors will remain the same for plot reasons, but what you find in between may be different every time you restart the map. What is loaded into these sectors is likely dependent on your difficulty settings. Similar to previous AoW campaigns, you can choose which of the factions you want to play as at set points within the campaign. However it is possible that this is simply referring to a lore reasoning behind skirmish maps. Though its not confirmed yet, the devs are pushing to have the Randomly Generated Maps savable for future editing and personal use as scenarios. The hope is that you could take a campaign map and designate which sectors are randomly setup. The games uses a 64 bit engine, allowing for a huge array of items to be added to the game, making it easier to mod in new units and even entire races. We will be able to craft new tactical combat maps, and partially randomize them too. For example, we can make a fort map and then randomize the locations of the trees and rocks around it, in any area we specify. You can then assign an array of maps to an encounter site and one will be picked at random. Modding in new damage channels is not currently supported, and is unlikely at release. Both Modding & Mapping tools will be available on launch day. The thousands of worlds of the Star Union were connected through a network of wormholes, called the Nexus. This allowed faster than light travel and fast communication between the worlds. As the Star Union grew from dozens to thousands of worlds, the Union deployed a governance system at the heart of the Nexus called CORE (short for Conscientious Omnipresent Regency Engine), which gathered and processed data from across the Union. At the start of their term, Emperors and Planetary Governors would be connected to CORE, opening their minds to the immense interstellar dataflow. Terratech is a biotech company which did the Empire’s Terraforming and ran scary genetics programs. They left guarded black sites on various worlds where they experimented on people. These have become treasure sites within the game and could contain Secret Technology. Terratech is also embedded in the origins of various post-collapse factions through the enslavement and forceful augmentation they forced upon sentient races, such as the Kir’ko, through painful genetic modification. After the Collapse clusters of stars at the heart of the Union ominously disappeared and gravitational storms made travel through the Nexus impossible. The story begins rather grim and dark as you emerge from your homeworld to find the Star Union empire you once knew, loooong gone. The game soon evolves into a more mythological sci-fi setting when events unfold and the campaigns will give you the option to create a new Age of Wonders, or plunge the galaxy back into darkness. The various races, factions and houses of the game were once close with each other before the fall of the Star Union, but after so many years of isolation, they no longer recognize each other. The game begins not long after the hyperspace lanes reopened as the races dash towards the heart of the once burgeoning Star Union space empire. The game will feature a fully fledged map of the galaxy, and every campaign and skirmish map has been placed on the Star Map, showing exactly where that map is located. The AoW fantasy world of Athla is potentially connected to the AoWP universe and placed on the Star Map, based on an interview with Lennart Sas at PDXCon2018. These maps all have emergent story lines providing hints of past events. The overarching story comes in the form of the Campaign mode. The Creator Engine 4.0 uses modified Physical Based Rendering (PBR) to render beautiful visuals! Everything in this article is conjecture and picked up from forum threads, convention attendees, press sites and dev diaries. The game is a long way off and this article is not a clear representation of what the final product will be like. Interview of Jean de Metz & Melciar - 3rd of the 2016 2vs2 PBEM Tournament (part 1)(Community)Interested in getting some insights into the strategies of some of the best players of AoW3? Want to know what they think are the best combos and units? This is the first of a series of 3 interviews with the players who qualified for the final phase of the 2016 PBEM 2vs2 Team Tournament, which involved 16 teams. Jean de Metz and Melciar formed "The green elephant" team for the 2016 PBEM 2vs2 Team Tournament. Outside the tournament, Jean is a member of the team King Serpents (ranked #2 of the team ranking), while Melciar is without team, but both have known each other for many years and used to play in the same community during the AoW2 and AoW2:SM era. Jean is one of the three "Masters" of AoW3 in the individual ranking and arguably one of the best PBEM AoW3 player ever. Melciar is a Veteran player, currently ranked #15, partially thanks to his team victories with Jean. Both players speak Russian (Melciar is from Belarus), which definitely help them to play together, despite a huge skill imbalance and different personalities. This is the first part of the interview, the second part can be read here as we were lucky to get a lot of content in the answers of Jean and Melciar! Well, it's a joke. I'm from Belarus and I'm 33 years old. Jean: My name is Vadim, I'm from Moscow and I'm 27 years old. 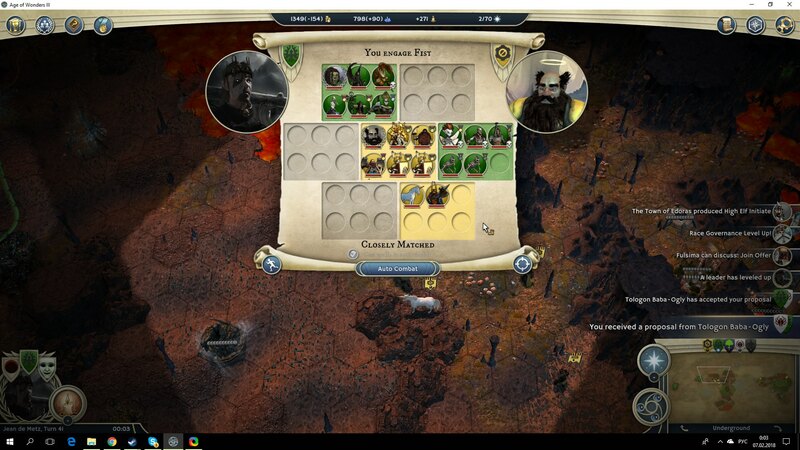 Melciar: I started to play Age of Wonders 2 in 2004. Later I tried the first title of the Age of Wonders series. I have to tell you about a wonderful site, aow2.clan.su. Once it was a place where Age of Wonders 2 Russian fans used to gather and play with each other (now it is ancient ruins where archon undead units live). That solid online community appeared at the end of 2007 and games were held at least several times per week. Only online games. More players began to join us and soon we started to play tournaments. We had some foreign players too: Griffith and his brother Munatauras from Finland and Jeronimo from Argentina. Hellbrick and Jean came to play too. The former created MP Evolution mod which was pretty popular and was used even by foreign online players. The last tournament of this community was held just before the release of Age of Wonders 3. It was a good time, I would say. Jean: It's a long story and I'm willing to tell it When I was 10 years old my mother found out that a native German had just moved to our apartment block. He was a teacher of German language and he married a Russian lady. As he lived in the same house it was really convenient for me to go to his apartment once a week and study German. He was a good teacher, it was me who didn't study well =) I have to say I was more interested in sport events, books, friends and table games at this age than in studying German. I was really stupid. He later moved to another district of Moscow and I forgot everything he taught me. His name was Oliver and he liked strategy games a lot. While waiting for his pupils to visit him, he played several turns in Heroes of Might and Magic 2. One day I came and saw him playing a very strange game. When I asked what its name was he looked at me seriously and replied: "Age of Wonders!" He didn't show it to me because we began to study and soon I completely forgot about it. Several years later I was passing by a PC games store (there was no Steam at that time and kids had to buy games in stores) and I decided to come in. I wasn't really interested in buying anything; I just loved to watch all those disks standing on the shelves. Suddenly I saw a game and it clicked in my mind: I remembered the name! It was Age of Wonders 2. The game was brand new, I bought it and soon it became my favorite game and stayed so for many years. Later I bought the Shadow Magic expansion. Of course, I tried the first part of the series - the game my teacher played. I liked it too, especially the soundtrack. I was very happy to hear it once again, now in Age of Wonders 3. I played Age of Wonders: Shadow Magic online for many years. We had a hamachi network where we used to gather. There was a forum of Russian fans where I met Melciar, Hellbrick and many other good players. You should read Melciar's answer to find more about it. 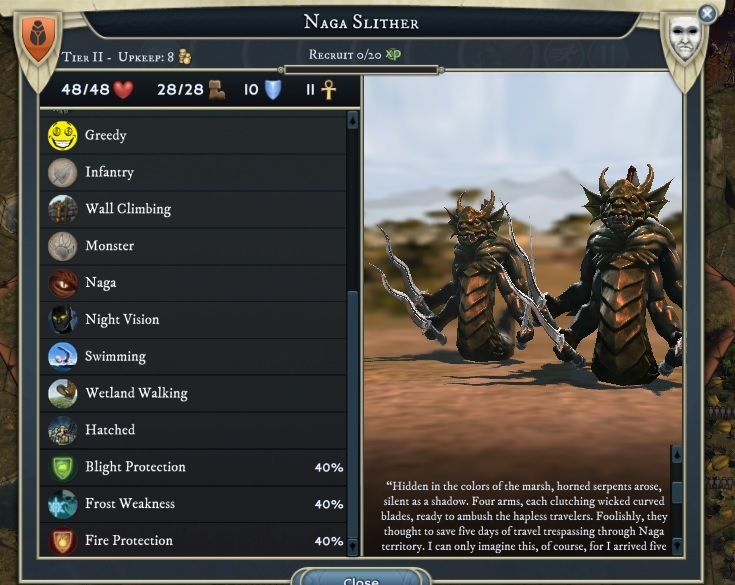 I started to play Age of Wonders 3 when it was released in 2013. Unfortunately, I soon ran out of free time and made a long break. Now I'm playing PBEM and I'm a real fan of it. Melciar: I'm not interested in single player. At all. When I had more free time, I used to play online a lot. Now - only PBEM, with rare exceptions. Jean: I play only PBEM. Online games take too long to play. One day I will play the campaign because I haven't played any of its scenarios at all. Jean's impressive strings of victories, leading him to a 88% win ratio! Melciar: My best combo - to team with Jean, haha. In fact, all my combos for this tournament failed to show good results. Maybe because I still consider myself to be an online player and I haven't got accustomed to PBEM yet. Jean: Soon after I started to play in team with Melciar I found out how unprepared he was for this tournament. I had to show my best in almost every match in order to win it. Just to make sure: Melciar is a good teammate and a nice guy But he has the same problems as many other new players: once he loses an army or a town he becomes upset, demoralized and makes more mistakes. He loses interest in a match very easily so you have to be nearby and tell him everything is okay and nothing bad has happened I took strong combinations in every match and got rewarded so far. Let's see if I manage to win my next match. Melciar: My favorite class - Theocrat. Favorite race - Goblins. Specialization - Shadowborn. I consider its tier-4 units (Fallen Angels) to be epic and cool. Jean: My favourite classes are Sorcerer and Dreadnought. Sorcerer has everything I like: Floating/ Flying invisible armies which give you an opportunity to outplay your opponents in maneuvers; perfect global spells (Glyphs of Warding, Dread Omen, Dome of Protection, Age of Magic, etc.) and really interesting battle spells. I like to play with Grey Guard as Essence Harvest gives you more casting points and its economic bonuses are really useful (you can't rely only on summons). You can also take Destruction in order to get Scorched Earth or Hasty Plunder. Sorcerer uses both spells very often since it is a very aggressive class. As for Dreadnought, it became one of my favorite classes in online games. There you have to play a decisive tactical battle with your opponent on manual so Cannons, Flame Tanks and other class units are incredibly strong. In general, I like the variety of different tactical scenarios provided by Dreadnought. For example, it's very easy to take different mythical sites with units like Trolls, Shadow Stalkers, trained Spiders, etc. But imagine you don't have them. You have only several different Machines and Engineers to repair them. And every dangerous fight in a mythical site becomes a true challenge. I like Human and Halfling Dreadnoughts. I'm currently playing a 3-3 game where I'm testing Tigran Dread and I believe it to be pretty good. Since Dreadnought has many different Empire Upgrades I recommend to take a specialization with no Empire Upgrades at all. Then you won't run the risk of getting wrong upgrades in the research book pools. I often feel disappointed when I see players trying to avoid using Dreadnought class units at any cost. They build cavalry, support units or even try to level up elementals Yes, it shows how many strategies can be played by dreadnought class. But don't ignore these wonderful Machines. At least, they deserve a test. Melciar: Best units? I prefer mobile units which you can get very fast at the beginning of the game. I also like Draconian Flyers. Another special unit for me is Dwarf Axeman. Very strong in defense, can approach Archers with physical damage and block them with Defensive Strike. Let's also name the Frostling Ice Scaper. It is probably the only tier 1 unit which can remove an enemy out of combat for several turns. Ah, yes, also the Farmer The Halfling Farmer. I know that Hiliadan loves it too. If we take tier 2 units, I'd name the Phantasm Warrior, the Banshee and the Human Priest. The latter is a perfect unit to tackle Undead and protect your creatures from mind control. If you have a stack of them you can easily take the Lich's Castle. I have to say that I like almost all tier 3-4 units. My favorite ones are: Warbreed, Frostling Ice Queen and Shrine of Smiting (it is incredibly strong; sanctums guarded by it are the most difficult ones in my opinion).